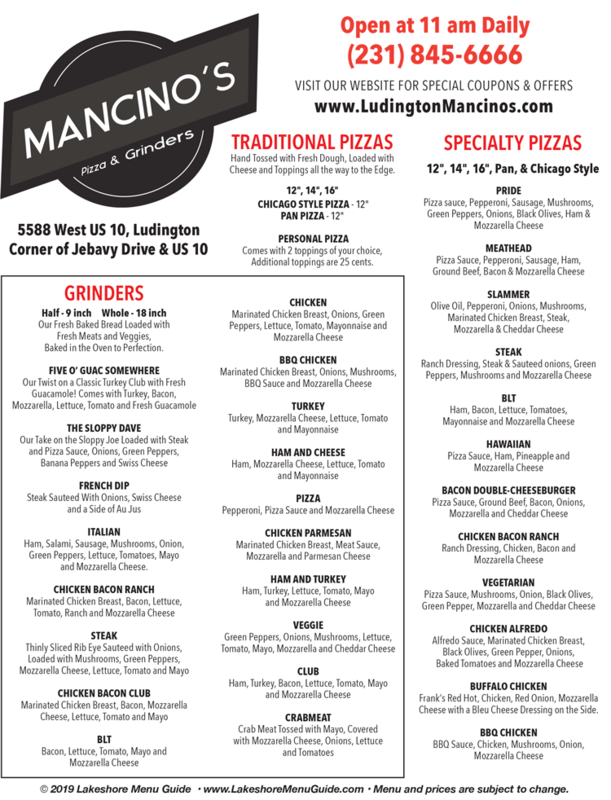 Original recipes and uncompromised quality make Mancino's a local favorite! We use only the freshest ingredients. Our grinder and pizza dough is made from scratch daily. 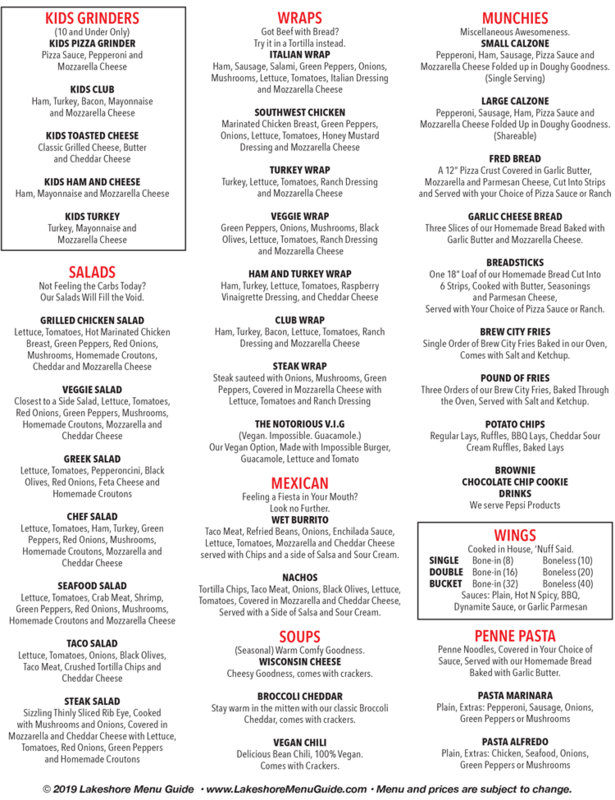 Serving wings, salads, pasta, wraps, specialty pizzas and traditional favorites. Dine in, carry out. Delivery to Ludington, Hamlin Lake, and Scottville! Open daily at 11am.